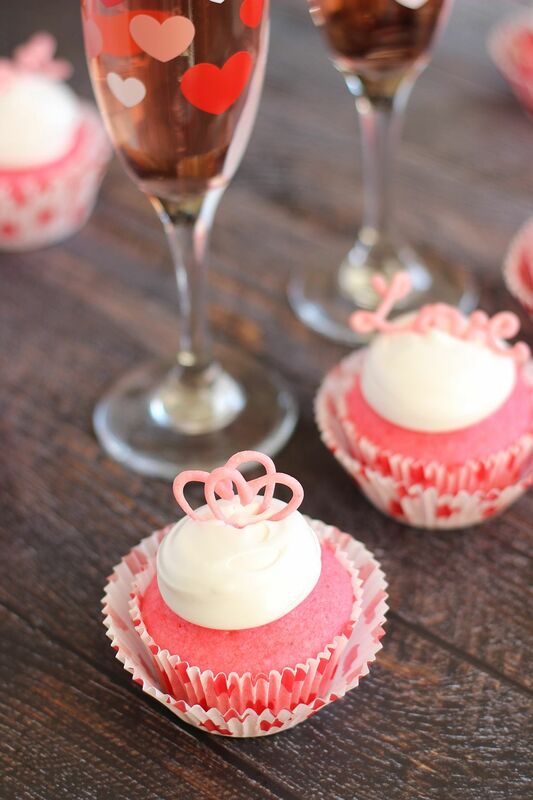 These Pink Champagne Cupcakes with Marshmallow Frosting and Chocolate Hearts are an easy but elegant dessert for celebrating Valentine’s Day! 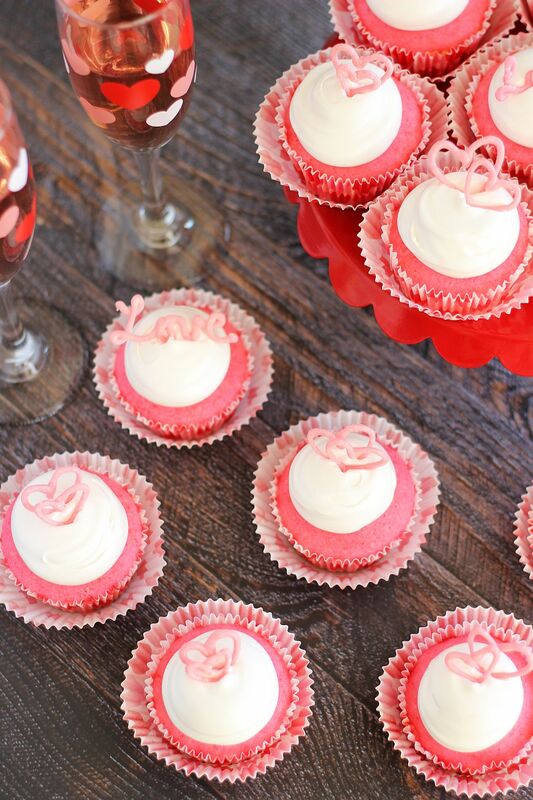 This is the dessert for all you last minute Valentine’s Day celebrators! 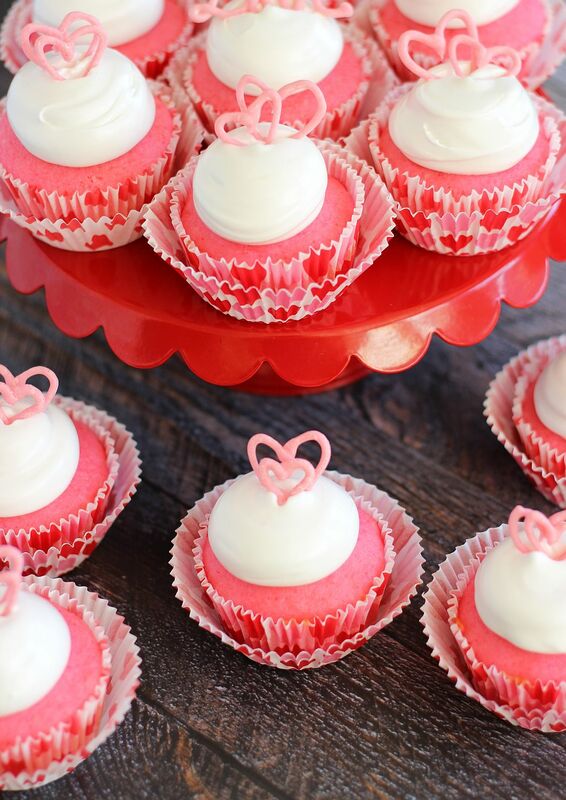 The cupcakes are made with a cake mix, so they’re ridiculously easy. Some may frown upon this practice or consider this cheating since they’re not ‘from scratch’. Bah! Sometimes you need the shortcut. The marshmallow frosting is from scratch, but is simple too, and comes together quite fast! It’s super white, shiny, fluffy, and beautiful. It tastes like marshmallow clouds – heaven on earth, in other words. Seriously, there are few things on earth I love more than marshmallow things. I had to tackle these cupcakes all on my own. I can usually count on my S.O. to help out with devouring the treats around here, but he is not down with marshmallow. He doesn’t dislike it, he just doesn’t really get it and doesn’t need it in his desserts. He doesn’t see the point in it. Weird, right? I don’t get him. I do need marshmallow. 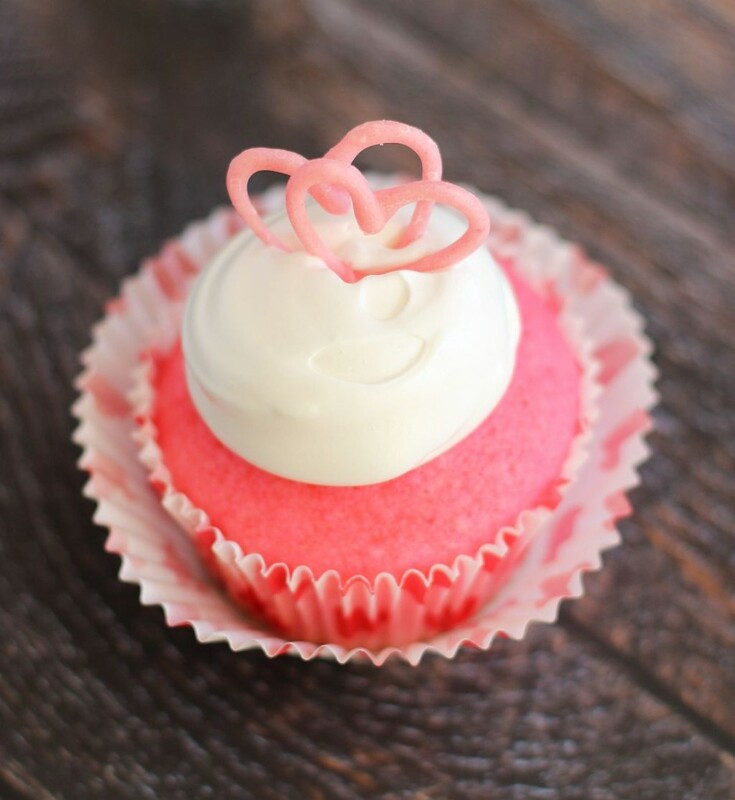 I can’t say enough good things about the delicate champagne flavor in these light and fluffy cupcakes, as well as the cute pink color. They’re pink! They’re cute! They’re pretty! They have fluffy white clouds on top of them for frosting! 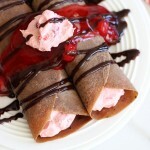 I might’ve been a little heavy-handed with the pink food color when I wanted to give the batter some extra pink oomph. Brighter is always better though, isn’t it? Pinker is always better, yes? Nod head in agreement please? Yay! The chocolate hearts are just a fun decorative touch. If you have the time, they’re enjoyable to make! If you don’t, skip ’em. We’re in a pinch after all. The big day is already tomorrow. 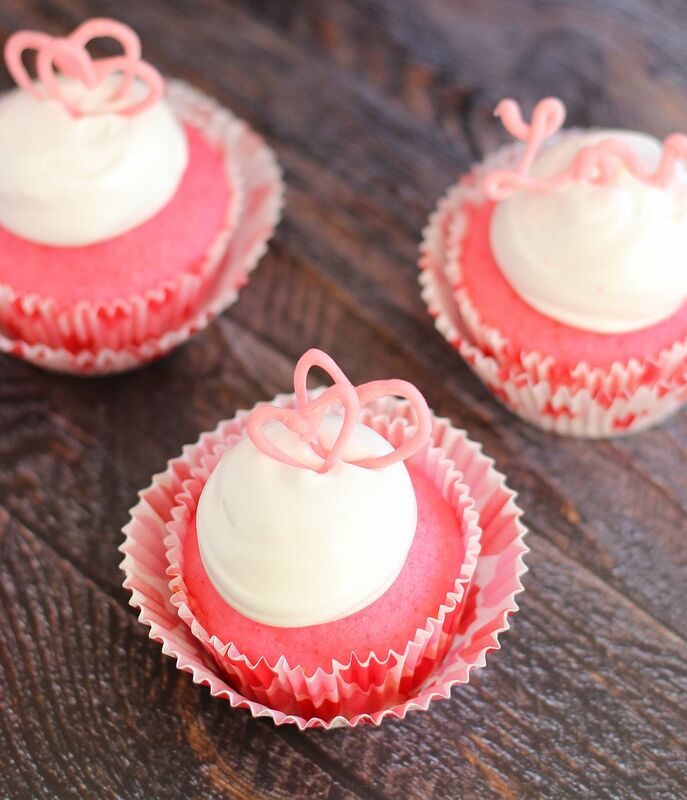 Simple and festive pretty pink cupcakes with clouds of marshmallow frosting atop. Happiest Valentine’s Day, friends! 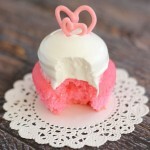 A simple pink champagne cupcake made from a cake mix, with a fluffy and sweet marshmallow frosting! 1 1/4 c. pink Champagne room temperature!! 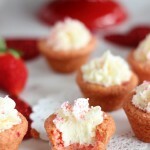 In a large mixing bowl, combine cake mix, pink Champagne, oil, egg whites, and food color. Divide batter evenly among muffin cups, filling them about 2/3 full. Bake at 350 degrees for 18-20 minutes or until toothpick inserted in center comes out clean. Cool for 10 minutes, then remove the cupcakes from pan to a wire rack. Cool completely. Beat for 6-7 minutes, or until glossy and thick. In a small saucepan over low heat, melt chocolate chips. Whisk until smooth. Alternatively, you could microwave them for 45-60 seconds in a microwave-safe bowl. Add food color to achieve desired color. 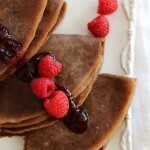 Spoon the melted chocolate into a parchment paper bag fitted with a #4 tip. Pipe hearts and 'love' in cursive (or whatever other designs) onto the parchment paper. Allow to set for about an hour, or refrigerate to speed up the process. 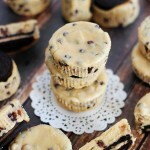 Once the chocolate sets, carefully peel them from the parchment paper, and decorate the cupcakes! Oh my gosh, cutest cupcakes ever, Sarah! These are simply gorgeous! And sometimes shortcuts are definitely worth it. 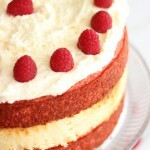 I think it’s totally acceptable to use boxed cake mixes. 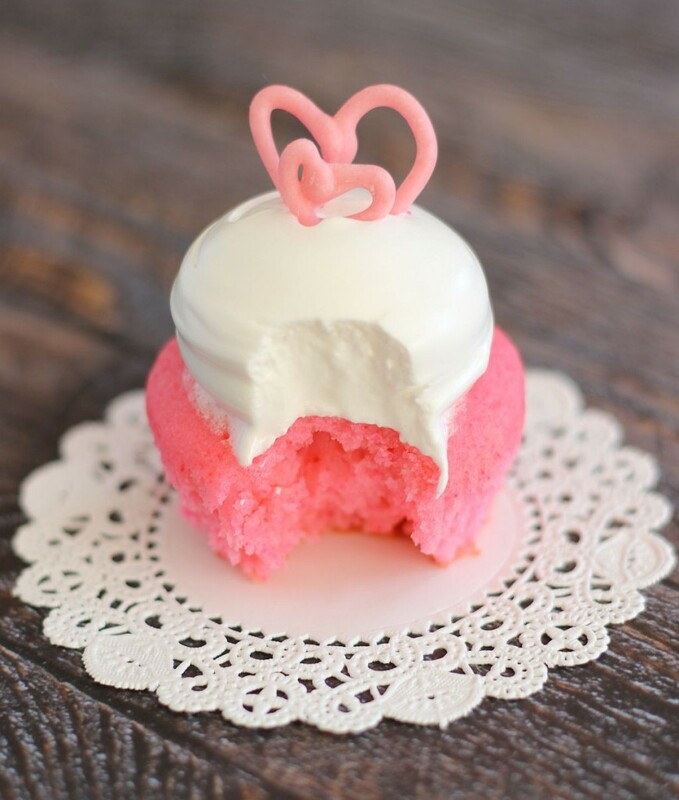 I’m in love with the fluffy frosting and pretty pink colors. So perfect for tomorrow! I’m with you… shortcuts are okay! I like box cake mixes and brownies sometimes!!! These were super simple and they turned out pretty! Thanks, Gayle! Have a great weekend! These are beautiful! I’m a sucker for cupcakes, and you toss some marshmallow in the mix and I’m done. 🙂 Wish I was there to help you devour them! I am a sucker for cupcakes too. 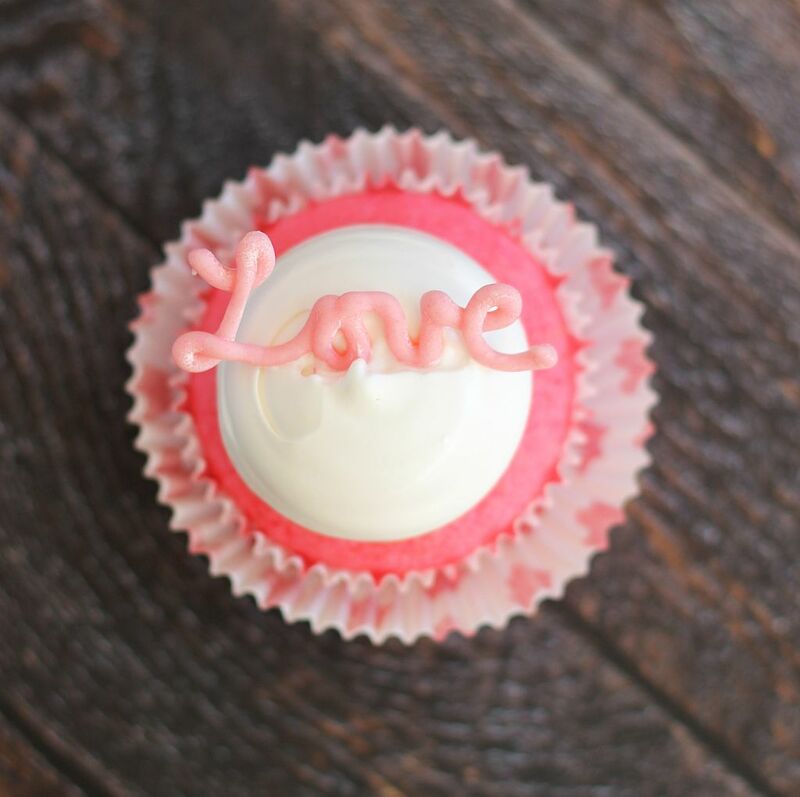 Well, any sugar-laden food, really, but I do have a soft spot for a pretty cupcake! Thanks, Blair! I hope you had a lovely Valentine’s Day! These are super sweet! 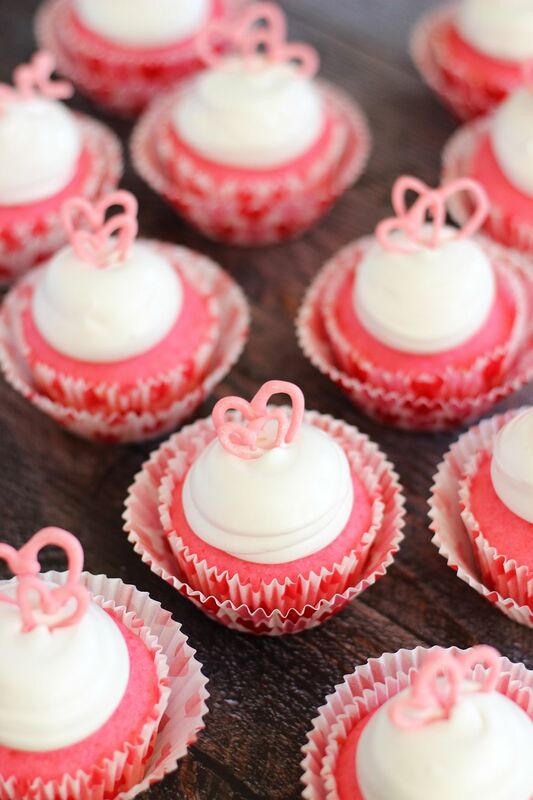 Love those cute little toppers! Adorable cupcakes Sarah! I love the chocolate hearts on top! 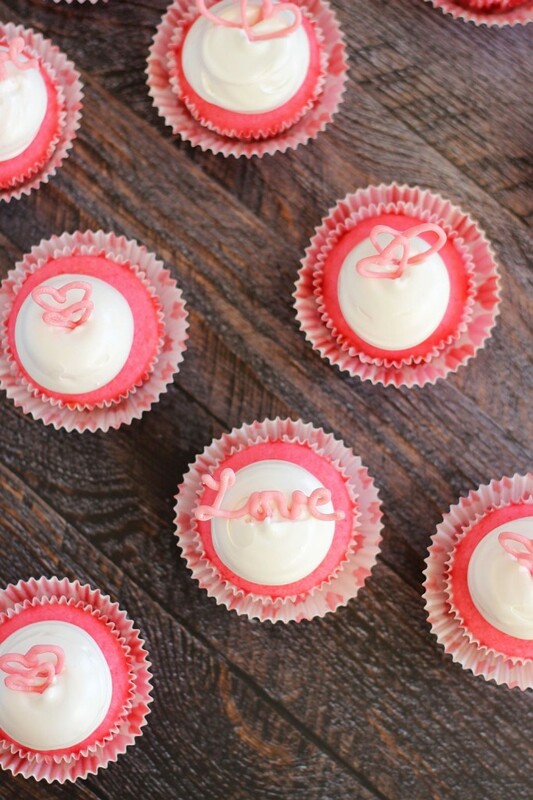 Oh my gosh, these are the cutest cupcakes! Nothing wrong with shortcuts, we could all use them sometimes 🙂 Love the marshmallow frosting and those chocolate hearts are so adorable! These cupcakes are SO beautiful. I just love your presentation of the – and all that marshmallow frosting too! Thanks so much, Thalia! That means a lot coming from you because all your desserts are so gorgeous!!! I love the little hearts on top! They are a nice touch! They’re cute, aren’t they? They were fun to make!